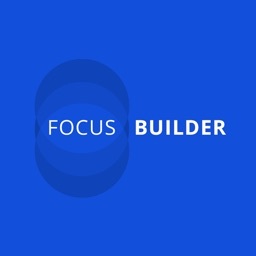 Focus Builder is optimized for use on an iPad. Eye movements are a very powerful way to exercise the brain and to create long-term change in the brain, known as plasticity. 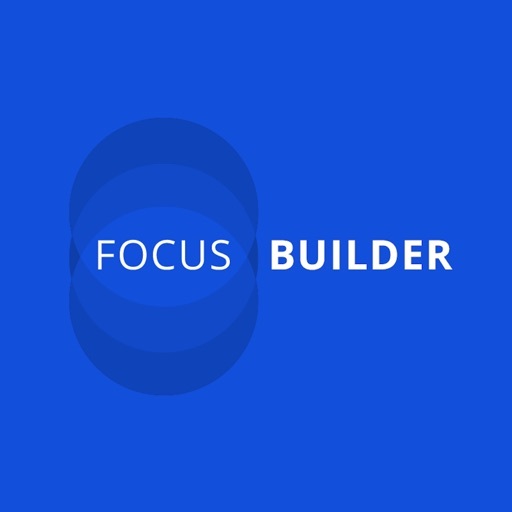 The “Focus Builder” app contains a variety of exercises which challenge users to voluntarily move their eyes in various patterns, speeds and directions, which have been proven to activate specific parts of the brain depending on which eye movement is performed. 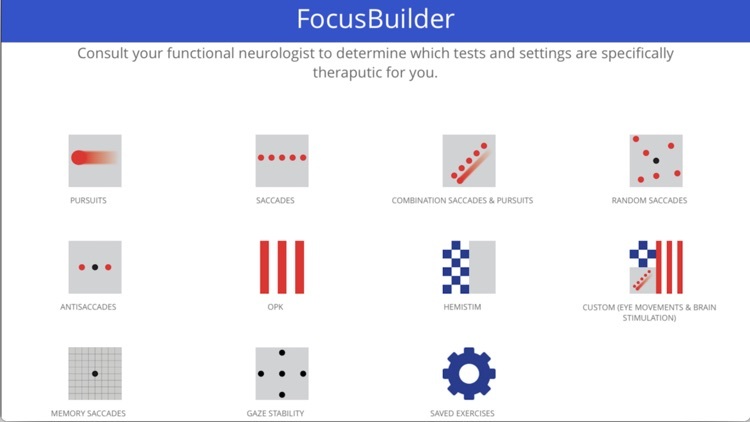 This app is specifically designed for doctors that specialize in Functional Neurology and their patients. There is currently no app available that can provide these specific exercises. 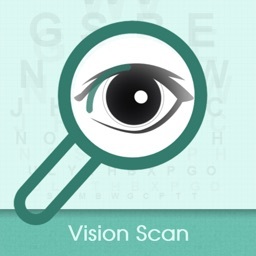 For best results, patients should consult a Functional Neurologist to determine how to use this app according to their needs and obtain the most therapeutic value. 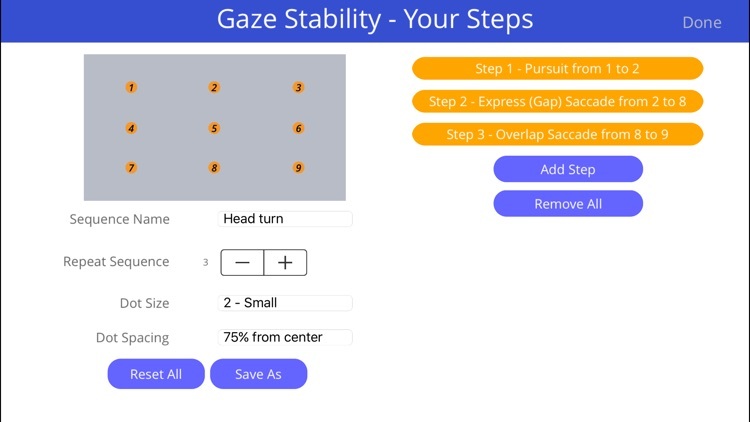 There are 3 types of eye movements that can have profound therapeutic benefits and all three are available in this app. 1.Pursuits (slow eye movements): Smooth pursuit eye movements allow the eyes to closely follow a moving object. 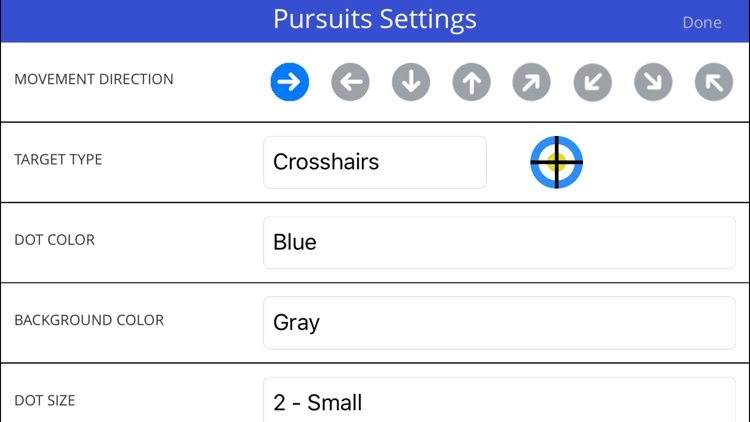 Most people are unable to initiate pursuit without a moving visual signal. The pursuit of targets moving with velocities of greater than 30°/s tend to require catch-up saccades. 2.Saccades (fast eye movements): Saccades are quick, simultaneous movements of both eyes in the same direction. Initiated cortically by the frontal eye fields (FEF), or subcortically by the superior colliculus, saccades serve as a mechanism for fixation, rapid eye movement, and the fast phase of optokinetic nystagmus. 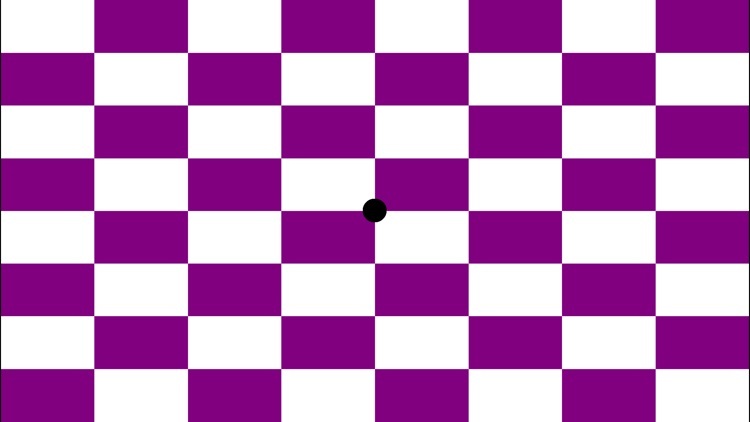 3.Anti-saccades (look away): The anti-saccade task has emerged as an important task for investigating the flexible control that we have over behavior. 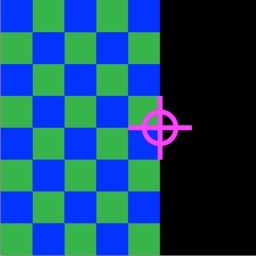 In this task, participants must suppress the reflexive urge to look at a visual target that appears suddenly in the peripheral visual field and must instead look away from the target in the opposite direction. A crucial step involved in performing this task is the top-down inhibition of a reflexive, automatic saccade. Patients diagnosed with various neurological and/or psychiatric disorders that affect the frontal lobes or basal ganglia find it difficult to suppress the automatic pro-saccade, revealing a deficit in top-down inhibition. 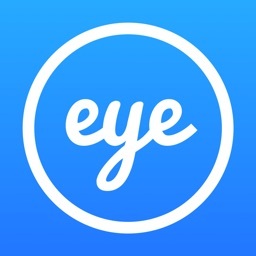 The areas of the brain that are activated by these eye movements are too numerous to list, but to name a few, I have listed some of the functions that can improve with these eye exercises. 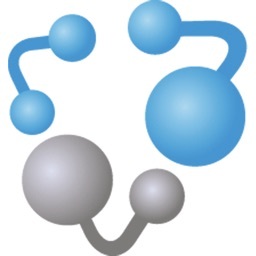 Shanghai ZEHNIT medical technology Co.,Ltd.